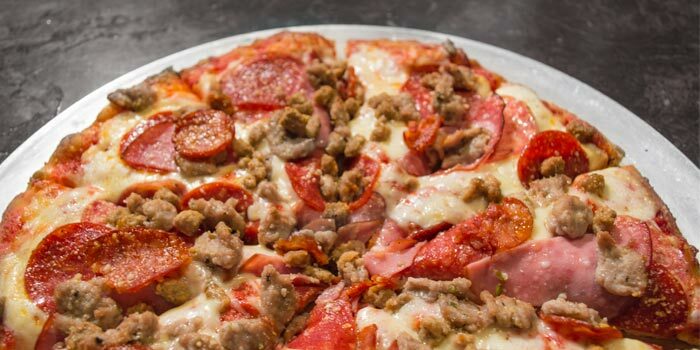 The all-meat combo, in all it’s glory! Italian salami, pepperoni, Canadian style bacon, ground beef, Italian sausage and linguica. 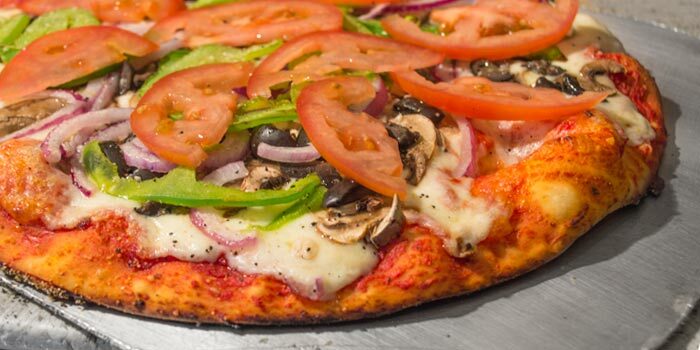 Fresh mushrooms, ripe California black olives, red onion, green bell peppers and fresh-cut tomatoes. A Sparks Favorite! 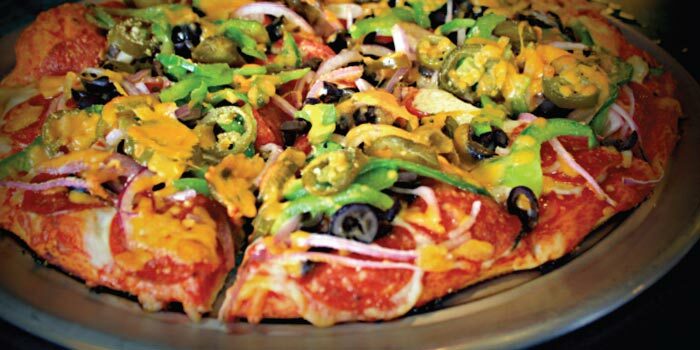 With pepperoni, California black olives, red onion, green bell pepper, jalapeno and topped with cheddar cheese; this pizza will light your fire! 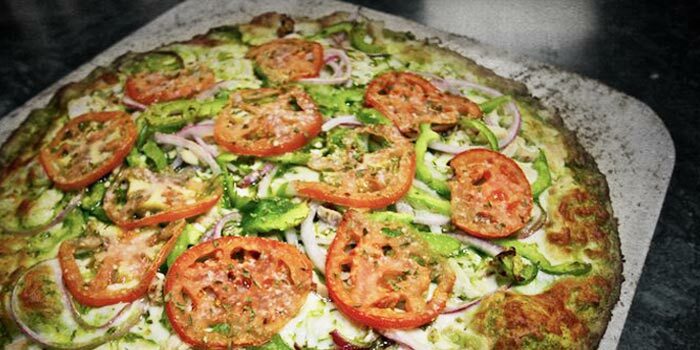 This unique creation starts with our basil pesto sauce then we pile on roasted chicken, fresh chopped garlic, red onion, green bell pepper and cooked tomatoes. An instant classic! Starts with our creamy alfredo sauce, then roasted chicken, fresh chopped garlic, California black olives, red onion, green bell pepper, ground thyme and cheddar cheese.